Steve Feltman spent 25 years searching for the “Loch Ness Monster,” more affectionately named “Nessie,” only to recently discover it was probably a Wels catfish. According to Fox News, the catfish can grow up to 13 feet long with a long curved back, identical to the preconceived image of the sea monster. 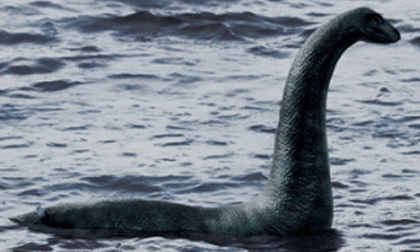 What started with an Irish monk banishing a “water beast” into the loch turned into a worldwide phenomenon with more than a few devoting their time to proving Nessie’s existence. The idea of chasing ghosts doesn’t stop on the border between Loch Lomond and the United Kingdom – the same goes for PR. If you search 25 years for “perfect” clients or “perfect” promotions, you will soon find that none exist. Nobody’s perfect but working hard and striving for as close to perfection as you can get yields positive results. On the flip side, unreasonably high hopes lead to dramatic disappointment. At TimePiece PR & Marketing, we strive to be the best, but maintain down-to-earth expectations with our business, clients and PR strategies. Practice makes close to perfect and we practice beneficial and mutually pleasing PR ideals with each client we represent. We are pleased with our clients and work hard to expedite their business to the next level. And since we aren’t the Loch Ness Monster, you can see, follow and contact us today.